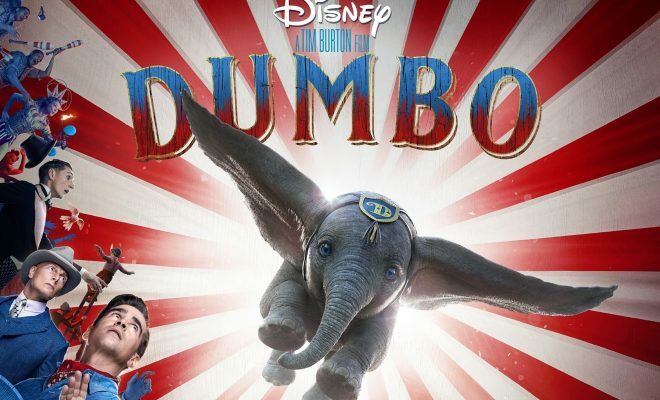 Dumbo is Tim Burton's first live-action, recreated 1941 Disney classic. I love Disney, I have watched every movie and I cried on each one. Dumbo, Bambi, and The Lion King probably the hardest movies to watch because they are so sad! So, do I survive this movie? Barely! This movie about the big-eared baby elephant is probably the most adorable movie that Tim Burton ever made. If we looked back, his visionary movies went into darkness - to name a few: Beetlejuice, Edward Scissorhands, Sweeney Todd, and many more. This animated classic felt like the combination of the sweetness and adorableness of Disney mixed with the dark, twisted fashion of Burton misfit. Storyline wise, Dumbo is pretty easy to follow even for younger viewers. If you haven't watched the original, you'll still be able to follow the movie. You did not miss anything. Started with the Medici circus lead by Max Medici (Danny DeVito) which was struggling to keep the audiences came back until Jumbo, the mama elephant gave birth to Dumbo. Then it went along to Dumbo joined the circus and the circus was hired by an entrepreneur named V.A Vandevere (Michael Keaton). I wouldn't talk much about the story, this is not a spoiler review. Dumbo relays on audience connection with characters development and the timeline and personally, that kinda work. Although this movie serves so many magical things including the computerized work still, we are more amazed at how deep the story goes or how it must feel to be that certain characters. One of my favourite on-screen chemistry was Colette (Eva Green) an aerialist who met Dumbo not long after the baby elephant gained famed. They only have a short amount of time on the screen but it felt so real and so connected as if there were an actual trust between them. One of the many things that surprised me the most was the CGI work on Dumbo itself. The lovely baby elephant was completely a bundle of computerized cuteness. The appearance of the elephant was shown - the skin texture was clearly visible, the movement was very soft and for most of the times, I forgot that Dumbo wasn't a real animal. It was magical to see such amazing work. If the CGI work was horrible, I didn't think the audience would enjoy the movie as they were now. I also love how this movie didn't make the animals talked. Most of the animated animal movies, they'd make the animal spoke. Thank goodness, this movie kept it real! It's gonna be the biggest turn-off. However, as much as I love and adore this movie. It is not a flawless movie. One of the main characters was too hard to relate. Mainly because the facial expression wasn't shown at all. I didn't get how happy or how sad this character was. Such a shame because this character was on the screen most of the time with Dumbo and others too. Overall, I'm pleased with this movie. Dumbo is such a fresh, beautiful Disney movie with perfect timing before Avengers: Endgame release on April, 26! I feel like 2019 is going to be a huge year for Disney!